These days we may take many things for granted regarding our understanding of Jesus and the New Covenant, but 2000 years ago the Jews were faced with quite a challenging decision to make. They had to choose between the covenant that they had known and had been walking in for centuries, which was based upon their promises to God to keep various laws, rules and rituals... and a brand new way in which the laws, rules and rituals were made obsolete, and replaced with faith in a Person, Jesus the Messiah. The writer of Hebrews called this way "a new and living way." He said it's a "better" way. He wrote his epistle to the Hebrews to explain the New Covenant to them, and to contrast it with that old way in which they'd been living for a long, long time. The writer explained to them how the old way was was merely a shadow. Laws, circumcision, rituals, etc, were all merely shadows, but had no substance to them. The substance would be found solely in this Person - Jesus, with their old way being done away with. The centuries-old Levitical priesthood, with all the offerings and sacrifices that went along with it, had ended, and was replaced with the superior Priesthood of Jesus. 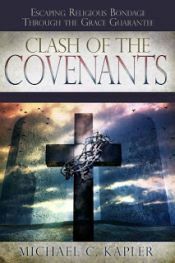 Their precious covenant was said to be "weak" and "useless," and the writer was telling them of "a better hope through which we draw near to God." All of this would be difficult for many Jews to accept. They had a choice: remain in the old way that didn't work, or choose the new and living way. They would be familiar with everything the writer wrote about. The Jewish and law-based terminology, along with all the covenant talk, would be very well understood by them. But they were faced with which way they would go. Which covenant... which way... would they choose? If we can understand some of this background regarding the circumstances that the Hebrew people were in back then, then we can better understand the message of the book of Hebrews.